Hester, Grady & Hester P.L.L.C. was founded in Elizabethtown NC in 1926 by R.J. Hester. Our Bladen County Law Firm has been providing dedicated, experienced legal advice and counsel to throughout the area including Brunswick, Columbus, Robeson and New Hanover County NC for over eighty years. The same principles on which our firm was founded still apply today and are a core aspect of our approach with our clients and in the courtroom. Our Elizabethtown lawyers have consistently been recognized as “Preeminent” by the Martindale-Hubbell Bar Register of Preeminent Lawyers. We’ve also been peer review rated as “AV” which signifies the highest level of legal ability and very high adherence to legal standards. With over fifty years combined experience; Gary Grady and Cliff Hester have the experience and knowledge necessary to represent your interests and protect your rights. 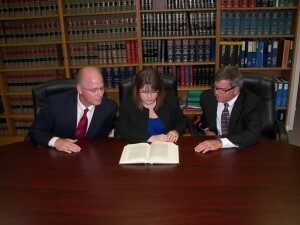 We practice general law and provide legal representation in specific practice areas.